These Banana and Chocolate Pancakes combine all the best flavours for an indulgent breakfast which you can enjoy whether you’re following Slimming World, Weight Watchers or calorie counting! Awwww yeah…We seriously adore pancakes! These Banana and Chocolate Pancakes are also perfect for Pancake Day! We’re not sure if there is a better combination that banana and chocolate to be honest. Just look at this stack of Banana and Chocolate Pancakes. Phwoar! This recipe makes a stack of 4 Banana and Chocolate Pancakes. You could even make mini ones and serve it as a super stack! 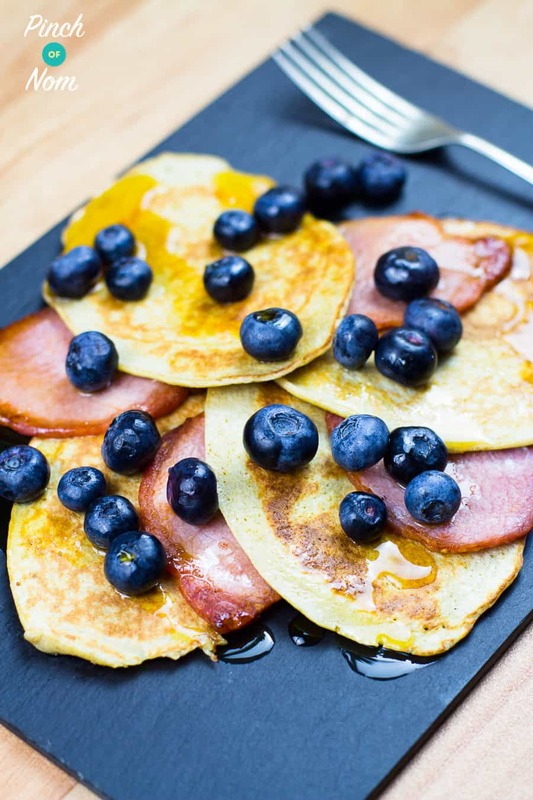 If you love pancakes, why not try these Low Syn Bacon, Maple and Blueberry Pancakes! 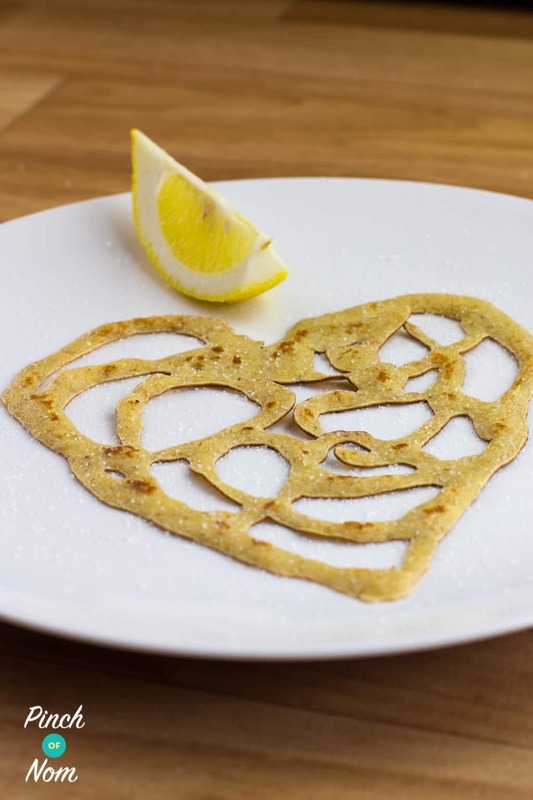 We’ve also got these impressive looking 1 Syn Lace Pancakes – don’t panic, they’re dead easy to make! 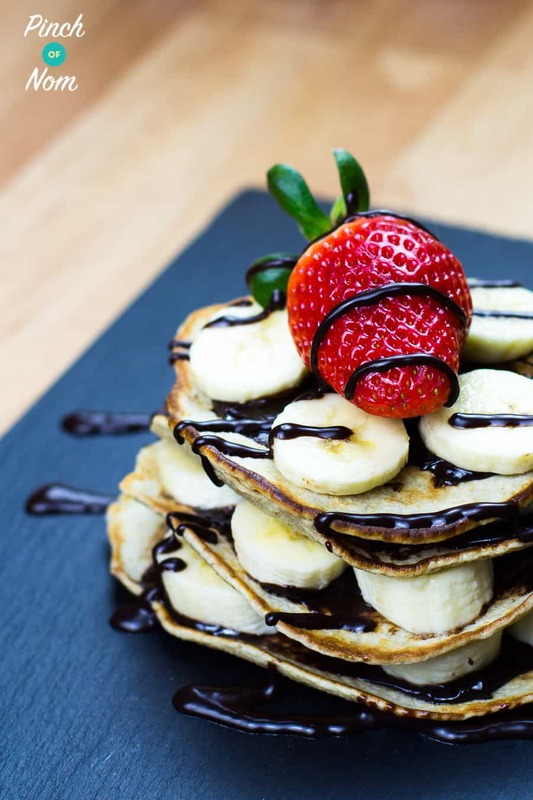 Love this Banana and Chocolate Pancakes recipe? Tag us! 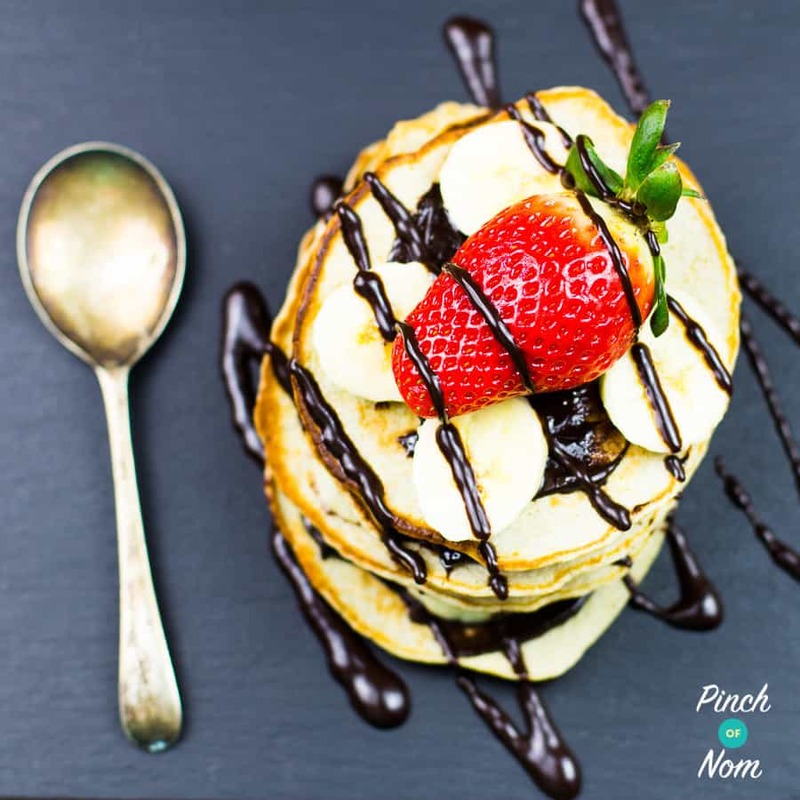 If you make this Banana and Chocolate Pancakes recipe, snap a pic and hashtag it #pinchofnom — We love to see your creations on Instagram, Facebook, & Twitter! What do I need to make these Banana and Chocolate Pancakes? As with all pancakes, you’ll need a good, non-stick frying pan. You can pick one up over on Amazon! 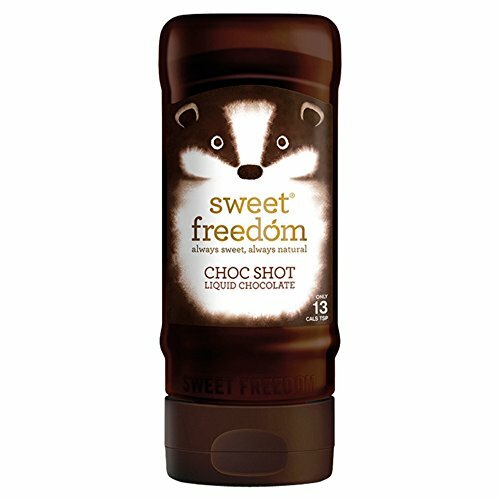 You’ll also need some Sweet Freedom Choc Shot. This is available in most supermarkets, and also comes in a variety of flavours so you can mix up your pancake taste! Find it down the hot chocolate aisle, or the “free from” aisle. You can also buy it online! We use a food processor to blitz the oats up, but you could also use a mini electric food chopper. 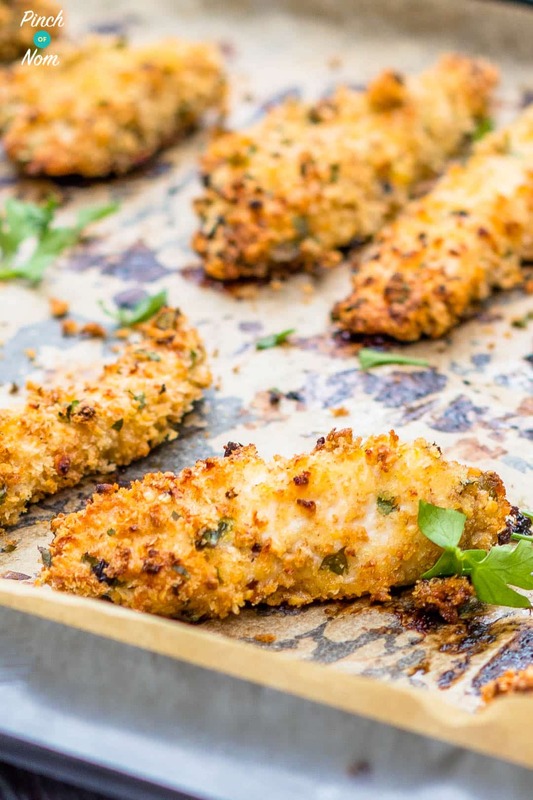 Both are really useful kitchen gadgets and we use them a lot in recipes like this Syn Free Garlic, Lemon and Parsley Chicken Goujons! How many Calories are in this Banana and Chocolate Pancakes recipe? 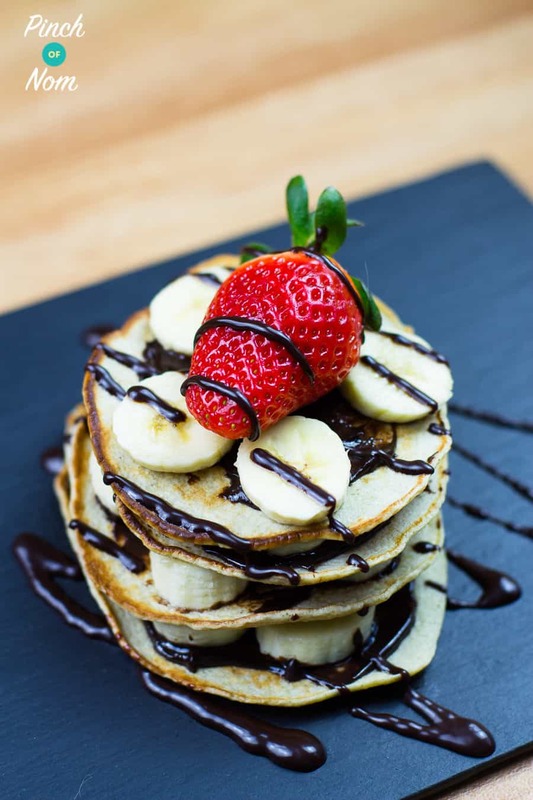 There are less than 500 calories in these Banana and Chocolate Pancakes, so although they are a little higher in calories than your average low-cal breakfast or meal, they do make a really indulgent treat! You could make these with any fruit you like – strawberries would also be really tasty! How many Syns are in these Banana and Chocolate Pancakes? These Banana and Chocolate Pancakes are 2 Syns per portion, if you use your Healthy Extra B for the Ready Brek, and some of one of your Healthy Extra A allowance (the recipe uses 50ml of skimmed milk, there is 350ml in one HEA of skimmed milk). If you wanted to Syn these pancakes, they would work out at 10 Syns per portion. You can serve these Banana and Chocolate Pancakes with any fruit you like. Why not try something off our Slimming World Speed Food List? Why have you changed from blitzed oats to Ready Brek? Slimming World are forever reviewing ingredients and recipes. Although the Healthy Extra B is a measured amount, they have stated that the purpose of oats as a Healthy Extra B is that they expand and are filling on consumption. As Ready Brek is being used in its original form and is again a measured amount for your Healthy Extra B, there’s no chance of it being used incorrectly in this recipe. We also happen to think the texture of the pancakes is much better when using Ready Brek! Do I need to Syn the sweetener in these Banana and Chocolate Pancakes? As you will probably know Slimming World recently brought out some new recommendations regarding the syn value of granulated sweeteners. Where there is 1 tbsp or more being used per serving Slimming World recommends that members count 0.5 Syn per tbsp. The recipe for these Banana and Chocolate Pancakes uses 1/2 a tablespoon of sweetener. That’s half a tablespoon per portion, so there’s no need to add any Syns on for the sweetener itself. How Weight Watchers friendly is this Banana and Chocolate Pancakes recipe? If you’re looking for a low point treat then these Banana and Chocolate Pancakes are just the ticket. At only 5 Weight Watchers Smart Points, you’ll be amazed at how chocolatey and delish these are! Can I freeze these Banana and Chocolate Pancakes? How do I make these Banana and Chocolate Pancakes? Pour in small amounts of the mix to make 2 pancakes. Allow to cook through until brown underneath, then turn and cook for a few more minutes. Place one pancake on a plate, spread it with some of the chocolate spread, then a layer of sliced banana. Like these Banana and Chocolate Pancake? Why not try some more of our desserts? Want more Pancake Day ideas? You should really check these out! Come join our Facebook group! We have over 696,000 members, who want to help you! You wouldn’t want to miss out on the fun would you? 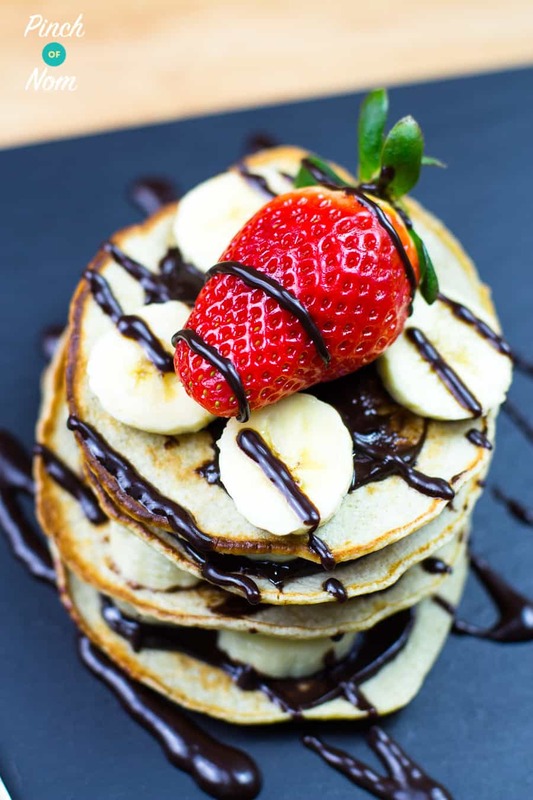 Pin these Low Syn Banana and Chocolate Pancakes to Pinterest! Mix the Ready Brek, eggs, milk, vanilla and sweetener together well. Spray a frying pan with some Sunflower Frylight and allow to heat. Repeat until all the mix is used (you should get 4 pancakes from the mix). Place on pancake on a plate, spread it with some of the chocolate spread, then a layer of sliced banana. Repeat until you have stacked all the pancakes and banana, making sure the top has a thin layer of chocolate spread and a few banana slices. Top with a strawberry then drizzle with the chocolate shot. I have to say that these look good but you should really say that they use 1 heb and 2 syns on Facebook abd the top of recipe. Find it slightly false advertising? Wow they look amazing definitely going to give them a try. Well done for such inspirational easy to follow receipies. I’ve made these and they were lovely. I’ve got a day off tomorrow so I’m making them again. I’m going to try some more of your recipes. Hi, I am new to this, could you please tell me what oats you use, as I see them used in quite a few recipes? Love this site very inspirational and lots of great recipes!! You can use any plain supermarket porridge oats, or even Ready Brek. 40g for HEB. How come the blitzed oats are synned as a tweak? A measured and blitzed 40g portion of oats as your HEb choice is not a tweak. Slimming World Head Office confirmed this to us when the recipe was created. 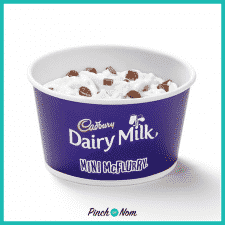 The only Syns in this recipe come from the chocolate spread/choc shot and the milk if you’re not using it from your HEA allowance. Please check the recipe card for details. Could you recommend any egg alternatives? i thought you had to syn cooked banana ?